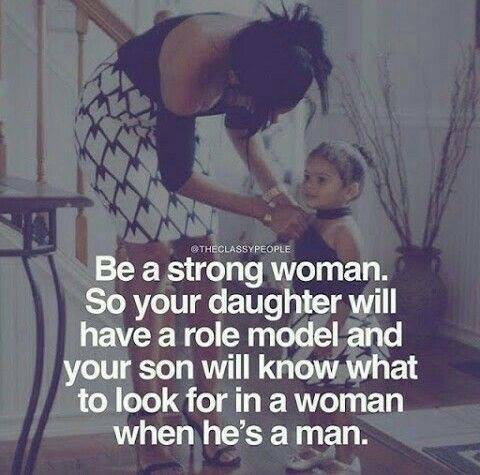 BE A STRONG WOMAN. SO YOUR DAUGHTER WILL HAVE A ROLE MODEL A - ProudMummy.com the Web's Community for Mums. BE A STRONG WOMAN. SO YOUR DAUGHTER WILL HAVE A ROLE MODEL AND YOUR SON WILL KNOW WHAT TO LOOK FOR IN A WOMAN WHEN HE'S A MAN.